There is plenty to see and do within the boat hire range. Leave all your worries ashore when you board Kangaroo, a 36’ Halvorsen cruiser. Relax along the calm and tranquil waterways of picturesque Pittwater, Broken Bay, the Hawkesbury and Cowan Creek, exploring sheltered reaches and quiet anchorages as you go and feel a million miles away from the bustle of Sydney. A lifetime of exploration awaits the visitor to Pittwater, Hawkesbury and Cowan waterways, with mile after mile of deep, calm waters wandering through a treasured wilderness with a near perfect climate. Kangaroo is ideal for exploring the sheltered bays of Pittwater, the Hawkesbury and Cowan Creek. Visit the Basin and Palm Beach. Weather permitting, cruise around West Head and explore Refuge Bay and Cowan Creek and the Hawkesbury. Your charter includes access to a dinghy. We can also arrange an outboard motor for hire on request. “Cruising Guide – Hawkesbury River, Cowan, Broken Bay and Pittwater, 4th Edition” by John & Jocelyn Powell is full of useful insights and recommendations. We have a copy on board for your reference. Perhaps you’ll start your day with a refreshing swim?….or cool off after soaking up some sunshine or a vigorous bush walk? The swim ladder and stable landing board give you easy access back on board. Water temperatures remain relatively warm throughout the year, but a light wetsuit can help keep you comfortable during the cooler months from May to September. Fancy fresh fish for breakfast? Then remember to pack your rod or hand-line. For your convenience, Kangaroo has room to store up to 5 fishing rods so they are out of the way and less subject to damage when not in use. See the web link “Fishing Hawkesbury Pittwater Spot Guide” on Google Maps for useful information about the best fishing spots and what you are likely to catch. Fancy some time back on terra firma? 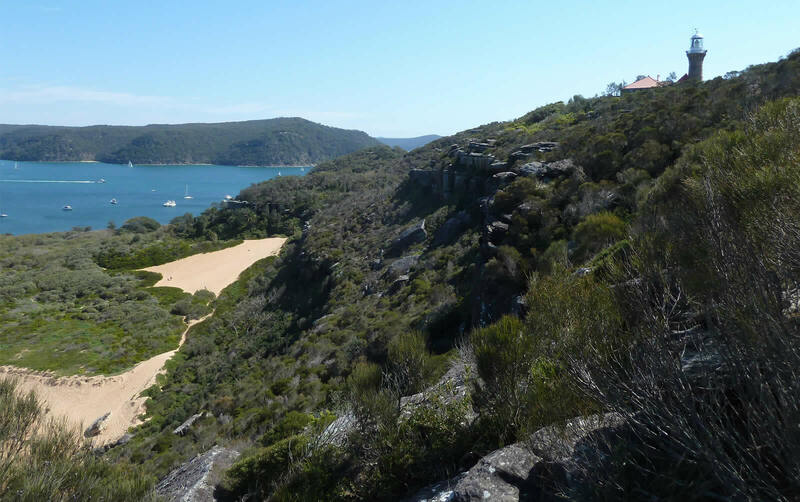 The Ku-Ring-Gai Chase National Park has a wealth of bush walks for you to choose from. Row ashore in your dinghy…. maybe stopping for a picnic at one of the many beautiful vantage points overlooking the majestic waterways below. Newport-based venues are an ideal dining option prior to setting off or on your return to Princes Street Marina. Keep this in mind if you can’t make it to the marina until after dark, but would like to maximise your time aboard. Eat locally and then sleep soundly in your marina berth, ready for an early departure the next morning. See the list below for some local suggestions and contact details. Just a short, pleasant stroll south from Princes Street Marina. The Newport has recently undergone a major renovation and is well worth a visit. There is also a Bottle Shop on site. Easy walking distance south from Princes Street Marina. Open for breakfast and lunch. Delicious, casual dining and good coffee. RPA is just a short stroll north along the edge of Crystal Bay. Royal Motor Yacht Club, 46 Prince Alfred Parade, Newport. While cruising, if you fancy a change from on-board dining, an array of excellent cafes & restaurants are available within the catchment area. Find more information in the “Welcome Aboard” booklet.